As always I'm late , by chance is not there any left over? The 10 boards have their future owners, but if anyone changes his mind, you'll be the next. If there is enough persons interrested for 10 other boards i'll do it. One for me too. Thanks! Please, add me to the list! I thought I posted weeks ago that I received my MF2 board, but I can't find anywhere that I posted such. So, if I haven't told you already, thank you @talrek I have my MF2 board. CPC6128 modded with ABBA switch. External 5.25" floppy drive with side switch and Multiface 2. Now also sporting a joystick splitter and M4 WiFi board. 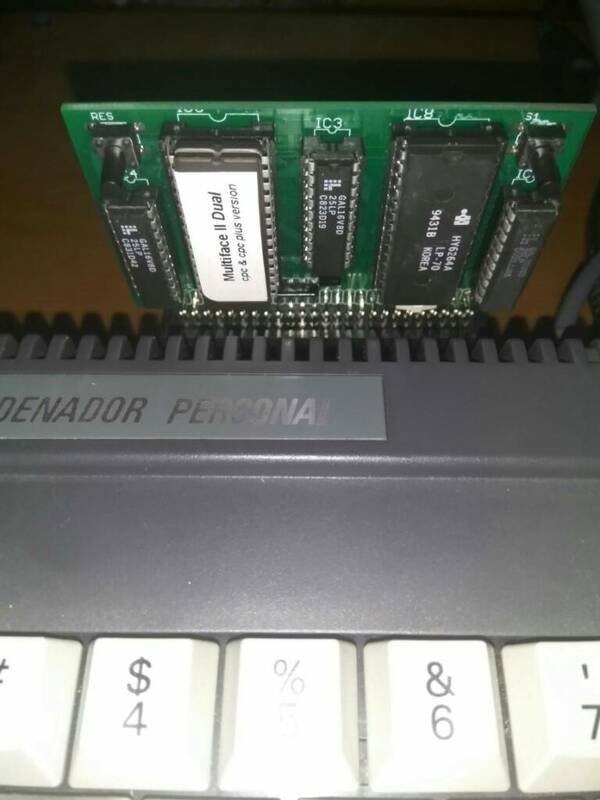 Come on, come on, this is good hardware for Amstrad guys !!! I would like to be put on the list for the MF2 please. I have sorted out the problems i had before, so i would like to get one if possible please. Just one with an edge connector please. I wait until all the mouse interfaces are sent to order the parts for the MF2 new batch. Hi, i almost ficnished, i'm still waiting for one sort of component to finished them all.Until that, i managed to finish three interfaces with the components i had in stock. So i sent an email for the firsts three lucky guys !!! Hi !Great ! good news !!!! Thank you the interface will be sent monday. Sorry about the silly question, but do I need a MotherX4 to use the MF2-clone or will it work without it when using a proper cable? I'm not up to date about the latest hardware for the CPC and I have no single clue what the MX4 is for nor what the expansions for it do. Either way, I would be interested in an MF2-clone. No board requires it, unless you want to run more than one board simultaneously. Can one still buy the Mother X4 board somewhere? @TotO makes them; he no longer posts here or has a web presence but afaik he still responds to PM's. Unlike others, I don't think ToTo has shared any gerbers of his boards. But there are plenty of Mother X4 alternatives available these days. Page created in 0.448 seconds with 105 queries.